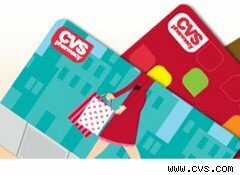 Grab a CVS coupon for $5 off a purchase of $40 or more when you "like" the company's Facebook page. Click on the Special Offers tab and enter your email and the number on the back of your CVS Extra Care loyalty card. The CVS coupon offer ends April 7, 2011 and the coupon expires April 10, 2011. I received my $5-off CVS coupon a few minutes after submitting the request form. The coupon has some exclusions, see below.Caveats: Limit one $5-off coupon per customer. Valid in-store only. You will need your Extra Care card when you use the CVS coupon. Receive an email with a coupon containing full offer details. Cannot be combined with any other dollar-off coupons. Certain items are not valid for the discount, including alcohol, gift cards, lottery, money orders, prescriptions, postage stamps, pre-paid cards and tobacco products. Not valid in Beauty 360 stores.